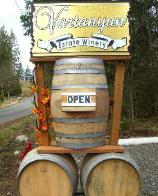 Become a Member of Vartanyan Estate Winery Wine Club! Free wine tasting for the member and 4 quests. Free barrel tasting for the member and 2 quests. Glass of wine is on the house, when you pick up your wine. Pick-up Your Wine. A glass of wine is on the house when you come to pick up your wine. winemakers, in the beginning of December, March, June and September. are picked up at the winery. Free wine and barrel tasting for members, their friends and family. number when their package ships from the warehouse. Wine Club is available for shipment to WA state. 10% discount for the members for all wines. 15% discount for the members on the case of wine. sign up in the Tasting Room.